« Ocasio-Cortez wants WALL money used for old pipes! The Founding Fathers never intended to make voting easy. It was a sacred duty for responsible people to exercise. They granted voting rights only to property owners for a reason. Thousands of mailed ballots in Florida were not counted. In fact, they just arrived in the mail, over a month after the election. How does it take that long for the postal service to deliver mail in Florida? 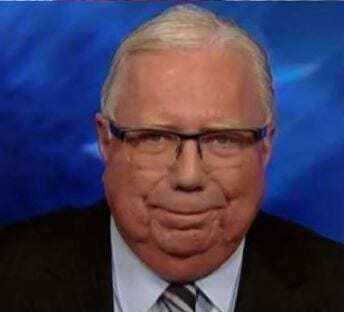 Journalist, Jerome Corsi talks about his lawsuit against Mueller and company. What’s happening now with the Mueller investigation is essentially criminalizing politics. This is a problem. The FBI was looking for someone who had a link to Julian Assange and thought Corsi was a possibility via Roger Stone. The problem is, even if he DID know Assange, and DID introduce Stone to him, it wouldn’t have been a crime. The FBI wants him to admit to a crime he didn’t commit. The first thing they do is bankrupt you, because you HAVE to lawyer up. Then they relentlessly harass you with scare tactics and try to get you to admit to something you didn’t do. Jerome chronicled his ordeal with the FBI in detail in his new book, Silent No More: How I Became a Political Prisoner of Mueller’s “Witch Hunt”. It’s available immediately for download and will be available in March in hardcover.